Here’s a bunch of comments from various sources, unedited by us of course. My book arrived yesterday! It is very, very neat, I’m looking forward to getting the time to read through it properly. 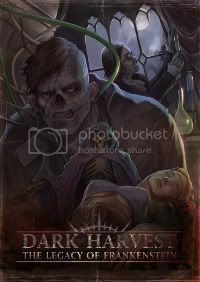 Recently bought Dark Harvest and I´m quite smitten with it. The central idea, and the well-put together primer of a scientific/horrific Romania in 1910 just screams for games of dark action and horror. Popping in to say great work on DH:LoF! Very evocative, nicely streamlined use of the Victoriana system too. I’m very impressed, and I say that not just as a gamer, but a fellow designer too. Wow, we got this in the shop the other week and I thought it looked excellent. Much applause.